There are few things that personify luxury, wealth, and class. Among some fantastic super cars, there will always be a superyacht in the wealthy man’s collection of toys. 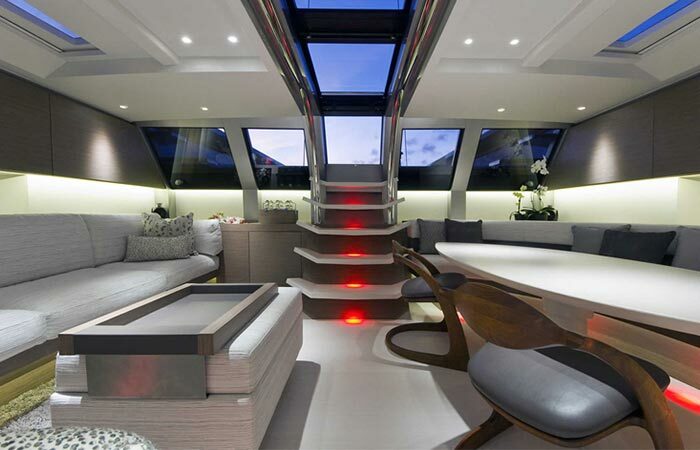 As far as luxury superyachts go, the Angel’s Share Superyacht is definitely up there in design and elegance. Created by the Monaco-based Wally Yachts the Angel’s Share is exactly what happens when top-notch engineering, design, and construction is not limited by a price range. The deck was designed to be minimalist with wide open spaces. The Angel’s Share is the 40-meter long dark blue superyacht. It was conceived after sketching 12 different hulls, and innumerable hydrodynamic tests. 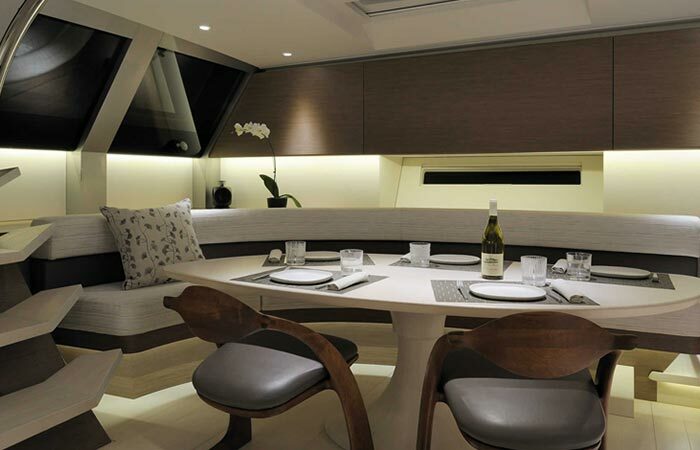 The hull itself was decided upon and features a carbon fiber construction. The 60-meter mast also brings up the sail surface area up to 727 square meters and it has a displacement of 84 tons. 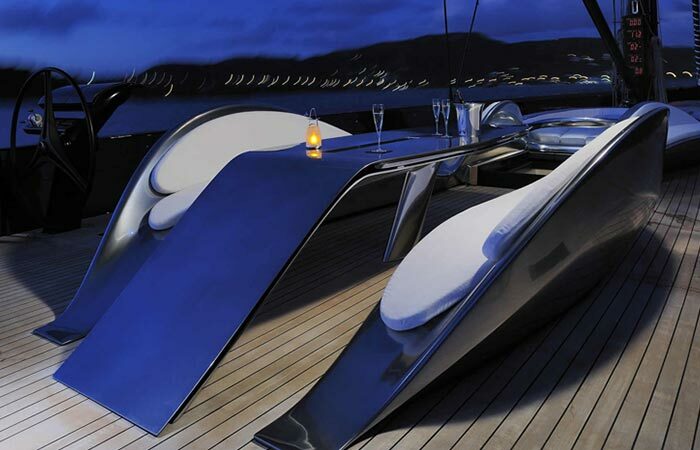 The deck’s table and chairs were designed to be futuristic. In addition to this, the deck itself was designed to be minimalist with wide open spaces. The tables and chairs feature a futuristic look. 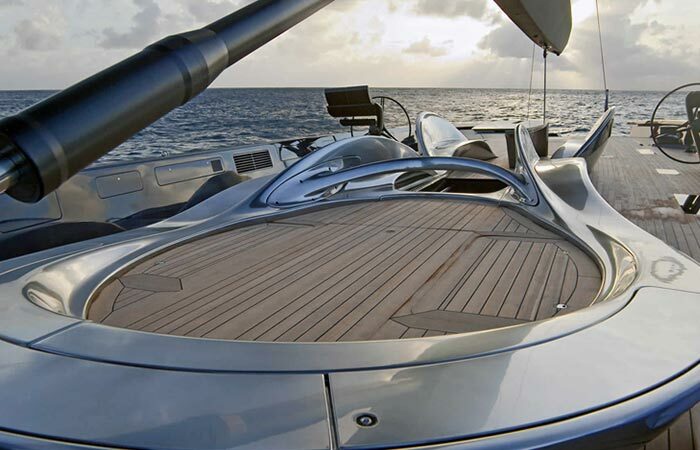 These are opposed by two steering wheels where the entire superyacht can be controlled from. 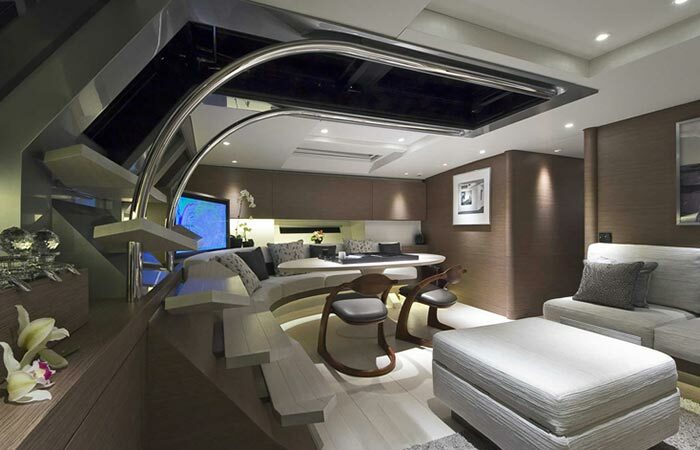 The main hall, and the rest of the yacht, was designed to be the epitome of luxury. As for the inside, the Angel’s Share features 12 rooms. This includes the Captain’s Cabin, two double cabins for the crew, a kitchen, two engine rooms, a dining room for the crew, two double cabins for guests and a single, and, of course, the shipowner’s cabin, and the main hall. It also has enough space for 8 people to stay onboard, along with 6 crew members. 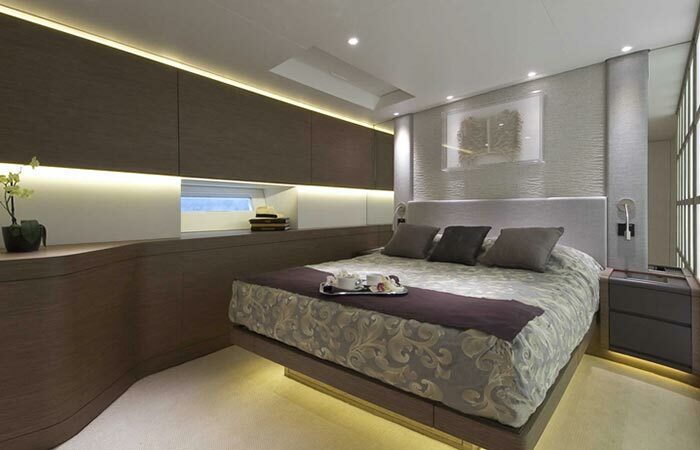 Check out our other yachts here. Check it out at Wally here.